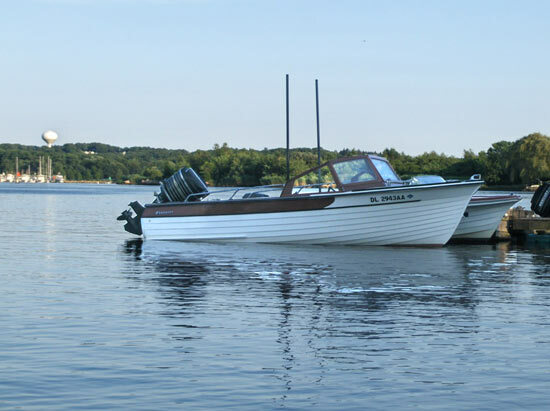 Pete Stransky’s 1962 Cortland NY built Custom Sea Lancer. I purchased it from the Original Owner in 2006, trailering it home from Alexandria Bay, New York. The boat, trailer and motor are said to be the original combination. 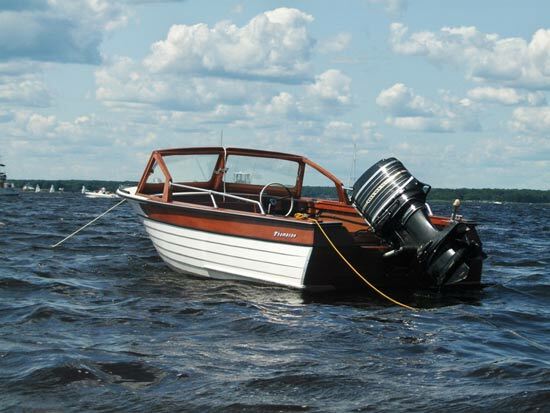 She's powered by a 1962 Mercury 100hp, the first available production 100hp outboard motor. The topsides of had been somewhat refinished circa 2004 but, no work on the bottom, bilge, or motor. After having sat for 15 to 20 years (the stories differ) there was work to do to make her water ready/water safe. She is pictured here at Watch Hill RI and on the Pawcatuck River, CT, a beautiful New England setting where she fits right in!